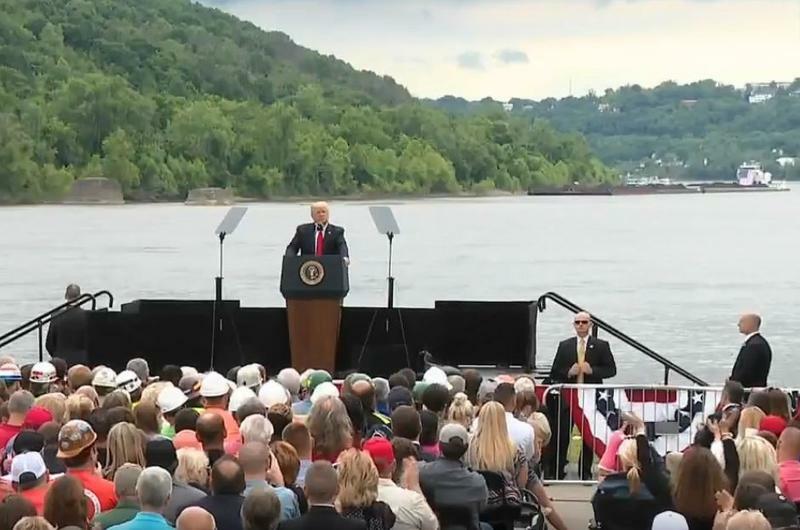 A coal barge passes as President Donald Trump speaks on the banks of the Ohio River. 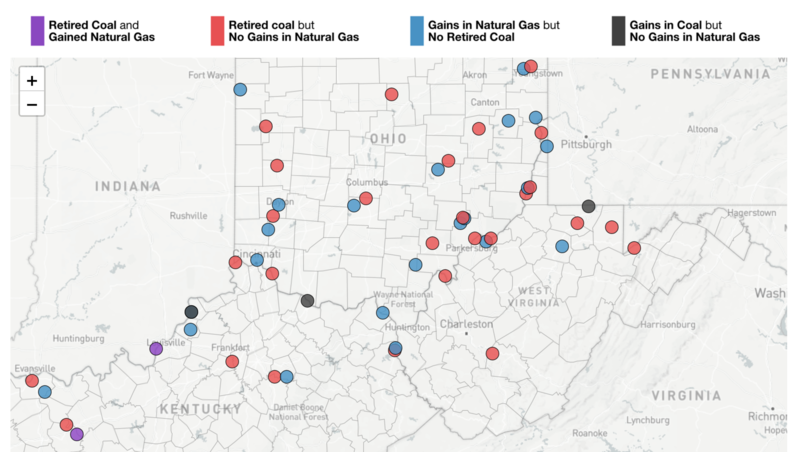 President Donald Trump last week told the Department of Energy to “prepare immediate steps” to stop the closures of coal and nuclear power plants in the Ohio Valley region that are no longer economical to operate. But a number of energy analysts say the administration’s unprecedented effort to prop up struggling utilities will do little to solve their underlying problems and will likely end up costing consumers more. The president’s announcement Friday came the same day that a leaked draft memo was published by Bloomberg News. That memo outlines a plan by the federal government to bail out coal and nuclear plants by forcing grid operators to buy power from those struggling plants for two years. At least five coal and nuclear plants across the Ohio Valley have been slated to close in the coming years by Ohio-based utility FirstEnergy Solutions. In March the company asked the federal government to immediately intervene to stop plant closures. Days later it filed for bankruptcy. FirstEnergy has since spent hundreds of thousands of dollars lobbying state and federal lawmakers. In a statement, Don Moul, president of FirstEnergy Solutions, said while the company welcomed Trump’s renewed support and looked forward to reviewing DOE’s final recommendations, the actions being discussed would likely be insufficient to stop scheduled plant closures. “While this marks an important first step, until timing and details of the order are clear, additional support at the state level will be necessary to protect the jobs in Ohio and Pennsylvania,” Moul said. Sonia Aggarwal, vice president of the energy policy think tank Energy Innovation, said any action the administration takes will likely be immediately challenged in court, which will significantly slow down how fast, if ever, the proposed payouts would reach plant operators. “Given this state that FirstEnergy's plants are in, in particular, it may be a long process and I'm just not sure how quickly it would really affect operations,” Aggarwal said. According to the memo, the DOE is considering using emergency powers under the Federal Power Act and two statutory authorities under a Cold War-era law that permit it to nationalize parts of the power sector. Under section 202(C) of the Federal Power Act, the Department of Energy may intervene if the electricity grid faces an emergency situation. Typically, the provision has been used during times of war or during natural disasters. 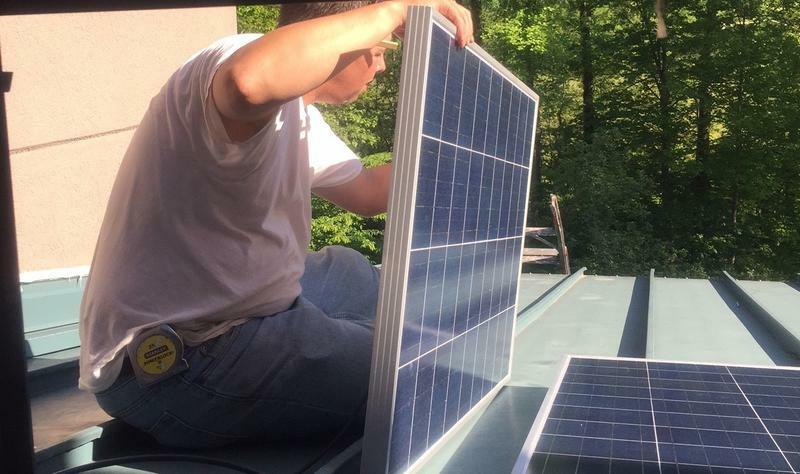 Joel Eisen, a law professor at the University of Richmond who studies energy and environmental law and policy, said the problem with using that provision is that it’s not clear there is an emergency. “The fact that coal plants cannot compete in wholesale electricity markets is not the kind of ‘grid emergency’ that's contemplated by that statute,” he said. The second statute discussed in the memo is the 1950 Defense Production Act. The law addresses options for keeping essential supply chain facilities open during wartime or similar emergencies. 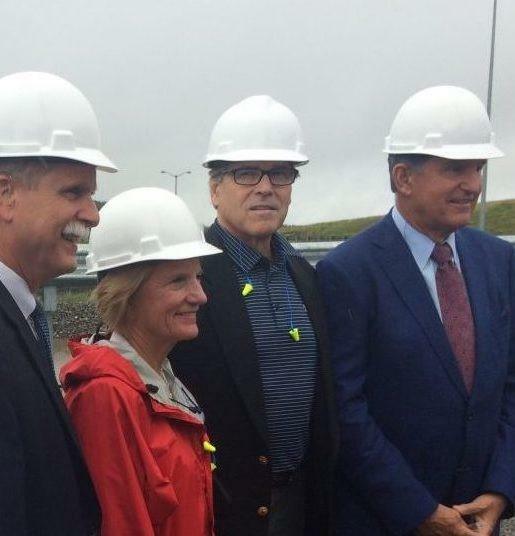 Sen. Joe Manchin (D-WV) began lobbying the White House in April to use the law to prevent the impending retirement of numerous coal-fired and nuclear power plants. The memo argues the resilience of the electricity grid is threatened by continued coal and nuclear plant closures. The grid is also at risk from cyber security threats and without government intervention the country’s national security is at risk, the document said. The country’s largest regional grid operator, PJM Interconnection, which operates across a 13-state region including the Ohio Valley, pushed back against DOE’s assumptions. In a statement, PJM said there was “no need for any such drastic action. Studies conducted by PJM and others have found there is enough electricity capacity to handle demand during big storms and other emergencies. PJM also recently launched a study of fuel security impacts on grid resilience. The speed of payments under either proposal remains unclear. If the government used Section 202(C) of the Federal Power Act, the law states the Federal Energy Regulatory Commission would have the responsibility to set the price for power purchased from struggling coal and nuclear plants if the regional grid operator, PJM, and the plant operators cannot agree. If the federal government invokes the Defense Production Act to help power plants, Eisen said it’s not clear how rates would be set. In the past, federal regulators have seemed to have little appetite to take action. Last year, FERC unanimously rejected a DOE proposal to subsidize coal and nuclear plants. Murray Energy, the largest supplier of coal to the plants FirstEnergy would close, also asked DOE to intervene using Section 202(C). The agency declined. Cathy Kunkel, an energy analyst for the Institute for Energy Economics and Financial Analysis, an Ohio-based think tank, said the memo outlines another attempt by the administration to bail out uneconomical power plants. This year is on track to be one of the biggest on record for coal plant retirements. 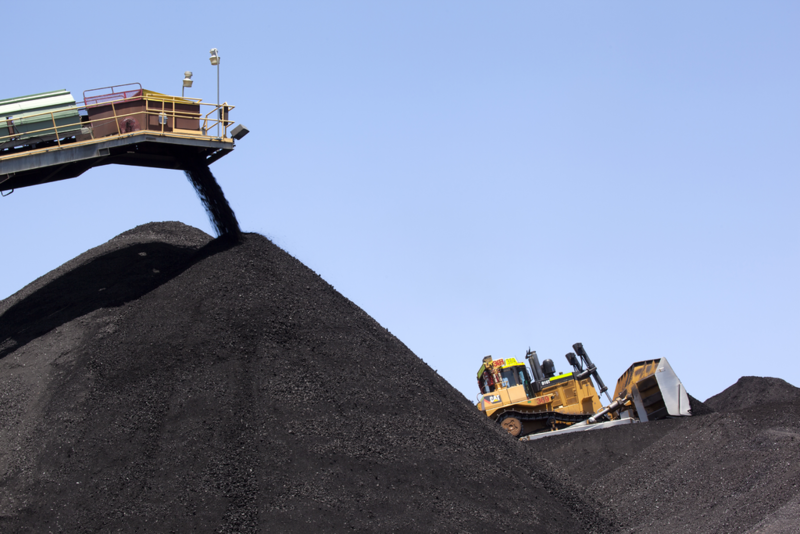 According to the U.S. Energy Information Administration, plants adding up to about 13.5 gigawatts of coal power are slated for closure. Kunkel said it is possible, if the administration's efforts were to go into effect quickly, that some coal plants could stay open, at least for a while. For example, she said it’s possible that the Pleasants Power Station, a coal-fired power plant in West Virginia that is slated to close Jan. 1, 2019, may be able to continue operating under this proposal. “If this order is implemented it will prevent the plants from closing because it'll force PJM to buy their output,” she said. 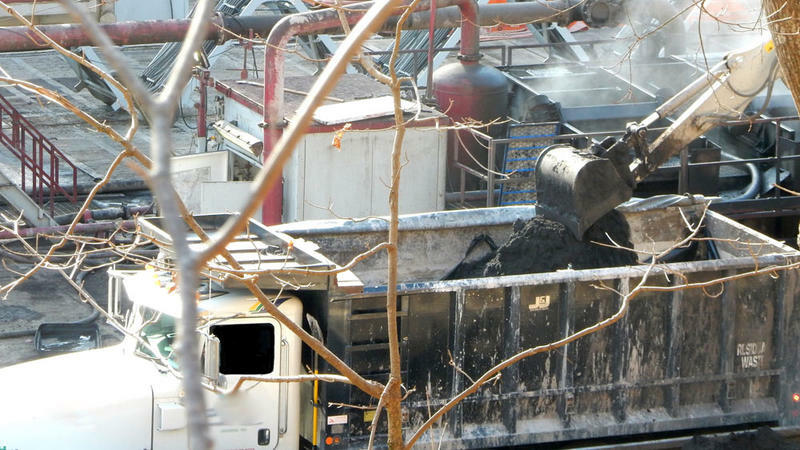 A spokesperson for FirstEnergy, which operates the plant, said it was too soon to speculate. However, Kunkel said, even that won’t solve the underlying problem that the Trump administration appears to be ignoring. The market has already made those old power plants obsolete. That is because electricity demand has been stagnant for more than a decade and cheaper natural gas and renewable energy are more economical fuels. “Once that subsidy goes away, the plants won't suddenly magically become economically viable on their own and they'll still need continued subsidies to keep operating,” Kunkel said. Every analyst agreed one thing that is sure to happen if DOE takes the actions outlined in the memo: All of us will see our utility bills go up. William McCool is a 64-year-old former coal miner from Letcher County, Kentucky, with an advanced form of black lung disease. Health experts say the condition is entirely preventable with dust control measures in mines. 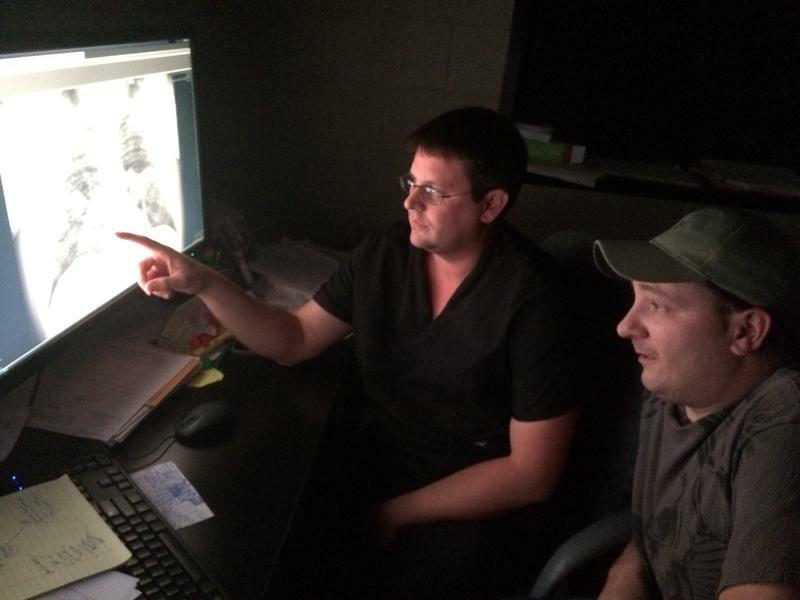 But today, more miners in Appalachia are being diagnosed with severe black lung than ever before.